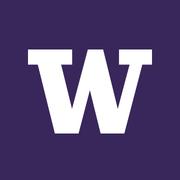 Founded in 1861, the University of Washington is one of the oldest state-supported institutions of higher education on the West Coast and is one of the preeminent research universities in the world. Business English: Making Presentations via Coursera 4 weeks long 4 weeks long 29th Apr, 2019 No reviews yet. Conducting an Informational Interview via edX 3-5 hours a week , 6 weeks long 3-5 hours a week , 6 weeks long 30th Apr, 2019 No reviews yet. Introduction to Cybersecurity via edX 2-5 hours a week , 4 weeks long 2-5 hours a week , 4 weeks long 30th Apr, 2019 No reviews yet. مقدمة عن مخاطبة الجمهور - باللغة العربية via Coursera 2 hours a week , 5 weeks long 2 hours a week , 5 weeks long 6th May, 2019 No reviews yet. Cybersecurity: The CISO's View via edX 2-5 hours a week , 4 weeks long 2-5 hours a week , 4 weeks long 7th May, 2019 No reviews yet. Business English: Capstone Project via Coursera 3-5 hours a week , 7 weeks long 3-5 hours a week , 7 weeks long 13th May, 2019 No reviews yet. Building a Cybersecurity Toolkit via edX 2-5 hours a week , 4 weeks long 2-5 hours a week , 4 weeks long 14th May, 2019 No reviews yet. Finding Your Cybersecurity Career Path via edX 2-5 hours a week , 4 weeks long 2-5 hours a week , 4 weeks long 21st May, 2019 No reviews yet. Preparing to Network in English via edX 3-5 hours a week , 4 weeks long 3-5 hours a week , 4 weeks long Self paced No reviews yet. Using Email for Networking in English via edX 3-5 hours a week , 4 weeks long 3-5 hours a week , 4 weeks long Self paced No reviews yet. Attending a Networking Event via edX 3-5 hours a week , 6 weeks long 3-5 hours a week , 6 weeks long Self paced No reviews yet. Data Science at Scale - Capstone Project via Coursera 3-4 hours a week , 6 weeks long 3-4 hours a week , 6 weeks long 3rd Jun, 2019 No reviews yet. Strategic Applications of IT Project & Program Management via edX 2-5 hours a week , 4 weeks long 2-5 hours a week , 4 weeks long 4th Jun, 2019 No reviews yet. Portfolio Management, Governance, & the PMO via edX 2-5 hours a week , 4 weeks long 2-5 hours a week , 4 weeks long 11th Jun, 2019 No reviews yet. Leadership and Management for PM Practitioners in IT via edX 2-5 hours a week , 4 weeks long 2-5 hours a week , 4 weeks long 18th Jun, 2019 No reviews yet. Speaking to inform: Discussing complex ideas with clear explanations and dynamic slides via Coursera 5 weeks long 5 weeks long 22nd Apr, 2019 No reviews yet. Speaking to Inspire: Ceremonial and Motivational Speeches via Coursera 5 weeks long 5 weeks long 23rd Apr, 2019 No reviews yet. Information Security and Risk Management: An Overview via Canvas Network 7 weeks long 7 weeks long 18th May, 2015 No reviews yet.